Here we go again. In all of the research I have done with regards to the anatomy of a dog’s knee, some veterinary reports reveal that dogs that rupture one cruciate ligament have about a 40 to 60 percent chance of rupturing the other. A normal knee joint acts like a hinge. The knee is kept stable when it flexes and extends due to this hinge. When the ACL (or CCL) tears, the knee joint loses its stability and starts functioning in a less than optimal way. In other words, it does not perform as it should. Imagine a rubber band holding two items together and that rubber band partially or fully tears. That “rubber band” is the anterior cruciate ligament. Dogs can recover as scar tissue fills in the gap of the tear with time, but many dogs go on to a full tear. Degenerative joint disease or osteoarthritis will occur along with pain, instability, and an overall change of life’s quality for the dog. I know several folks who managed well with conservative management on a smaller dog (20 pounds or less) that had a torn ACL. We tried a customized stifle brace the first time around. It helped….for a while. Conservative Management or Surgery: And When? There is a longly contested debate whether surgery is actually needed in all cases of a torn ACL. In my experience, most dogs progress to a full tear and then surgery is a must. Each dog should be assessed for the nature and extent of injury. I am also a proponent of joint supplements and weight management to keep stress off the joints. Most veterinarians would agree. A recent article I encountered on Veterinary Practice News covers 10 possible consequences of an ACL rupture treated conservatively. I highly advise you check this out if your dog has an ACL or develops one at some point in his or her life. This is the moment Dexter was released from the hospital in August of 2013. Notice the leg. Who Gets a Torn ACL? Snap, crackle, pop ensued. Sometimes just a staggered gait or a limp is noticed. The limp might be constant or intermittent. Each dog varies. Dogs can even tear this ligament by jumping out of a car or stepping off a curb, as happened to a friend’s dog. If you want to work in tandem with your dog’s veterinarian to help keep your dog’s joints healthy as well as keeping Fido in shape overall, one of the resources we use is the Partners for Healthy Pets website. You might think you notice every little thing your dog does – but did you know that dogs (and cats) have evolved to hide illness? Our dog, Dexter, even tried to play ball by hopping around with the injured leg in the air. Dogs can’t tell us something hurts, so it is up to us, as pet parents, to know what is normal behavior and what is not. Our friends at Partners for Healthy Pets tell us that since 2001, dog vet visits have dropped 21% and cat vet visits have dropped 30%. As a result, there is dramatic increase in preventable diseases in our pets, such as obesity, diabetes, and heart disease. Obesity leads to joint issues and can damage joints and cause ruptured ACLs. If your dog suddenly develops a lameness or a limp, seek veterinary attention. Do not attempt to self-diagnose or “let it go.” As a dog mom or dog dad, we owe it to our best friends to seek medical help, especially consider dogs (and cats) will hide pain from us. 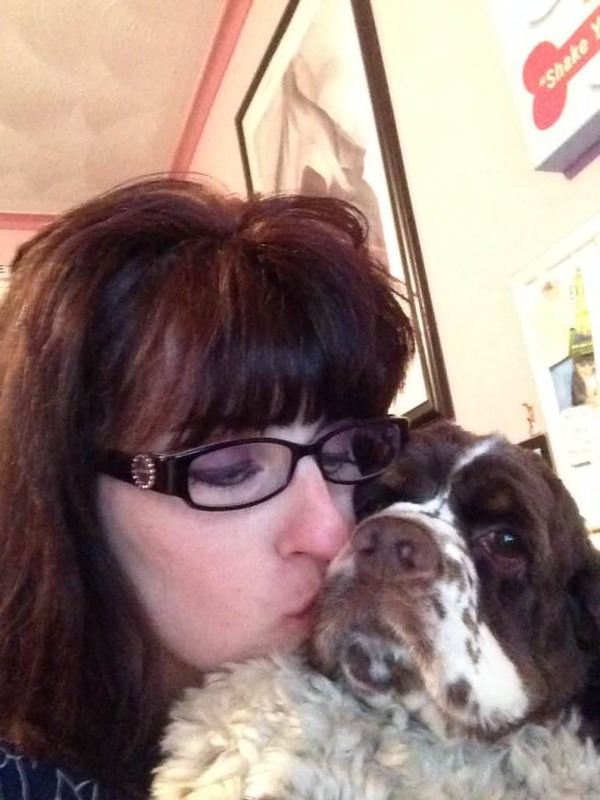 Our pet blogging friend, Jodi Chick, has a dog who is being treated with conservative management. You can read all about that course of action on her Kol’s Notes blog here. We also recommend the surgeon you choose is board certified, which is what this ortho specialist is who did Dexter’s surgery. Now that the ACL surgery is over, we are 4 days postop as of this writing. Dexter is facing the same postoperative course of action he did last time. Dogs in this situation will have a customized rehab plan tailored to their injury, surgery, and needs. This is not an inexpensive operation. Our low end quote for the surgery was $2,100 and high end was $2,500; this is based on my dog’s size and needs plus the type of surgery. There are a few types of ACL surgeries, and we opted for extracapsular repair both times with very good reason. You can read more about that here: Surgical Choices for Torn ACL in Dogs. We have veterinary pet health insurance and have for about 20 years. We love it, have had major success with it, and it covers a huge part of this surgery’s cost. I would do anything I needed to for my dog, but the insurance really helps. We are keeping our dog active in a variety of ways since he is on strict rest these first two weeks. A recovering dog need not be a bored dog, and here are activities you can do with a postoperative dog. Have you ever faced surgery with your dog(s)? Let us know what types of surgeries your dog(s) has been through in the comments below. Wishing Dexter a speedy recovery! This article is such a great source of information. I know many dogs who injured their ACL either partially or completely. Your recommendations are spot on, Carol. I’ve noticed dogs who weigh over 20 pounds do recover without surgery, but for the most part, surgery is usually the end result. I hope Dexter has a speedy recovery. Thank you for being such a powerful voice in the dog world. Glad surgery went well. Best wishes for a speedy recovery, Dexter. That was a very interesting article. Fortunately (knock on wood) we haven’t had to deal with this problem. I don’t let Bentley jump for things and he isn’t allowed on our bed because of fear that he’ll hurt his legs or back getting down since it is too high. I’ve had two knee surgeries on my left knee and it is no fun at all. I hope Dexter heals quickly and correctly. He is a very lucky Cocker to have you for a mom! Now I understand a little better why my Human won’t let me jump. I weigh 100 lbs and she won’t let me do lots of stuff I love to do. She says she’s protecting me from injury and I always thought she was spoiling my fun, which she is. So sorry to hear this. We thought he was over the hill with the acl part of life and moving on. We hope to never have this happen to any of us. I know you will take great care of him. Poor Dexter. It looks like you did everything you could to keep him from a second surgery. I hope he’s up and running soon. Ouch, snap crackle pop on a dog doesn’t sound good at all. You are so well informed, Dexter is very lucky. Good luck and lots of piggy kisses your way! So glad that everything went well and Dex is on the road to recovery! Thanks for the great article from Veterinary Practice News! Thanks for sharing your story about Dexter! So happy he is doing better 🙂 My dog Nellie tore her acl about a week ago and I didnt want to put her through surgery so I had to look for other options. I ended up getting her an A-trac brace from Woundwear and it has been wonderful! Nellie is now walking around without a limp and I couldn’t be happier. Our 9 year old lab mix was diagnosed with a full tear of CCL ACL cruciate ligament. The veterinarian prescribed TPLO surgery for $5250 + $1,000+ for aftercare, and said to set aside another $1,500 for infections or complications. $7,750 is a lot of money for one surgery that may fail or worse. We asked the veterinarian there must be an alternative to surgery and the vet said he was unaware of any alternatives. We went home and shared the bad news at our local dog group and another member said their large rottweiler wore a posh dog knee brace for some 5 months and the knee healed and the dog no longer needs to wear the brace. They said that the custom brace was modified twice then it fit well and they said they liked the brace because once it was fitting they could start walking their dog each day longer and longer. The benefit of a dog knee brace is that there isn’t any long recovery time like there is from surgery and no risk of infection or pain. The dog can start daily dog walks with the support of the posh dog knee brace right away. With that info, we went ahead and got a posh dog knee brace and once modified, it has been working wonders as we have resumed our dog walks. The vet called to set a surgery appt and we said no, we are getting a brace. The vet wasn’t happy about it, but we love our dog and want to do what is right for our dog. Its been several months and so far there has been great improvement and we go on long dog walks every day wearing the posh dog knee brace. Happy there is a safer alternative available to avoid the painful surgery. We will keep you posted in the next few months. We had a custom brace and spent really good money on it, as we would for our dog and we love him so. Your brace option sounds like it is helping. Our dog’s ACL eventually did go from a partial tear to a full tear and knowing now what I do, I am glad we had the surgery. Hope your dog continues to improve. 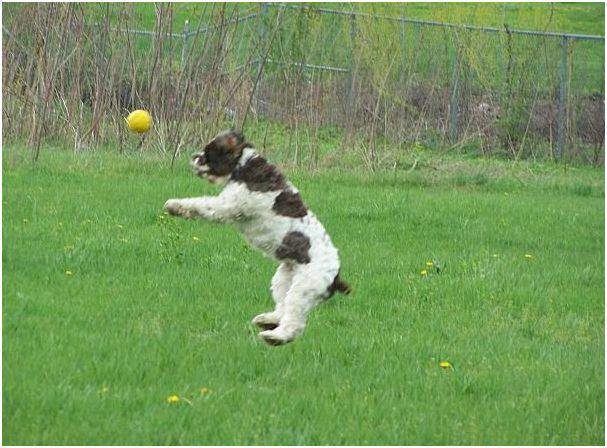 Be sure he moves the limb and has a good arthritic supplement, as arthritis sets in when the ACL tears. It also can harm the meniscus so the more that ACL is torn the more the meniscus can get torn, too. Keep us posted. Hi! My 6y/o golden had ACL surgery on Janurary 19th her particular surgey was TPLO. She was recovering very well. We left her “baby gated” in the living room (she has extreme anxiety when caged). Once we returned for one of our many trips since her surgery she was sitting in an akaward position. She wouldn’t get up my husband lifted her and took her outside she wasn’t baring any weight on her “good leg” and all on her “surgery leg”. She fell as she was trying to eliminate. My fear is she tore her ACL on her “good leg” but isn’t strong enough yet for her surgey leg. Any suggestions for us? We operated on my beagle when she tore her ACL about a year ago. It was pretty overwhelming at the time because of all the different treatment options out there.. making a decision wasn’t so easy, and especially the decision to have surgery. We did the lateral suture technique and luckily everything ended up as we hoped. From my understanding, depending on the type of injury and obviously the dog, there are some people who are successful without operating. That wasn’t our case. I also got her a dog knee brace from Ortocanis that I introduced approx 5 days after the operation. It’s pretty flexible while still providing the knee with that added support. The combo worked for us and after over a year my dog’s as good as new! Indeed you are spot on, Joseph. Some dogs can get away with the surgery. A lot of factors are involved, as you know: Age, extent of injury, activity level of the dog, finances of the pet parent. YAY that your dog is doing well. Give hum a tummy rub from us and thanks for stopping by. That would be considered a pre-existing condition for most pet insurances. But you can call or email and check. We have had Veterinary Pet Insurance all these years, recently acquired by Nationwide. I hope all goes well with your Rottie. The surgery is a long recovery but so worth it. They may even want to to TPLO on him due to his size. Thank you for your very informative article. My Great Dane, Gracie has had 2 ACL surgeries. Her first was April 22 and 6 months later her other one blew and had to be repaired. I would like to share something with you and your readers. There is a Vet Clinic in Richmond, VA called Helping Hands and they do all kinds of surgeries and dental at a reduced price. For example, the vet’s that I consulted regarding Gracie’s surgeries wanted $5,000 per ACL to be repaired. Helping Hands only charged $1,000 for each ACL and I had the same medical care as I would have had going to my vet. The only drawback in going to Helping Hands is they are a in and out clinic. You drop your dog/cat/whatever off in the morning and pick them back up at 4:00. They do not do after care. I am very pleased with both of Gracie’s surgeries and her healing process. Thank you for all of your suggested websites. They are great! I hope Dexter is recovering well and is back to chasing balls and frizbies. Thank you for posting this info! My dog Nellie had lateral suture ACL surgery 6 months ago. The surgery cost $2,500 not including either recheck or blood work and that was supposedly with a 40% discount on the hospital fee portion because a local organization I volunteer with thought it would be much less there, (the surgeon fee was $1800), but I feel like the numbers were definitely messed up. Even after I paid the deposit and took her in the morning of surgery they tried to tell me I owed almost $200 more than I did on the balance. My regular vet office quoted $1800-2100 with no discount (surgeon fee 1300-1500) both hospitals used the same surgeon. I felt like I was taken advantage of and to make it worse, the surgeon was lets say less than helpful regarding recovery, exercises (he said dogs don’t need PT like humans, that at the 5 month mark she would have been completely healed and there is no chance of her re-injuring that side. I have had her on a diet, been giving her high quality joint supplements and omega fish oil and doing my best to make sure she does not need the other leg done. I found out recently that grains in the diet are an inflammatory, after I specifically asked this guy if there was anything he recommended in her diet or anything to avoid. He said just keep doing what I’m doing. Well, I thought I had done my research, was doing everything right, then find out i’m causing inflammation with her food AND now that she can re-injure the same leg because today she was in the yard playing and since she came in she has not put any weight on the repaired leg. So I came on the computer and started a search and found this site. I am 10 hours from Healing hands, which would definitely be worth the drive for the $995 if she is going to need another surgery. I would not want to use the same surgeon that did her 1st surgery for not only the cost, but because for what he charges, he should make sure he gives people all the correct info, and without being asked, for example, I should be giving her a grain free diet and yes she can re-injure the same leg. Her recovery was hell for her and it was for me as well. She is the most needy and emotional dog I have ever met and was severely depressed for 4 months. I hope and pray that she is just sore and will be fine tomorrow, I iced it and have he in her crate so she stays off of it for now, but it is really good to know about Healing Hands, even if I can share that info with someone else who may need low cost surgery for their pet. Awesome article. Thank you for sharing. I bought a Posh Dog knee brace that never fit. They claim to be the best but $895 dollars and months and months of wasted time we never could put the money to good use. They are very nasty and rude when any mention of a refund is requested. Buyer beware. I had the same experience with Posh knee brace, never fit right. They are extremely rude and disrespectful when dealing with people and veterinarians. The owner is a complete jerk. My Rottweiler was 14 months old and 125 lbs. when she had her first TTA surgery. She was retrieving a stick and all of the sudden sat down, when she tried to stand, she had a limp. She wasn’t able to put any weight on her left leg at all. She would try to put her paw down and quickly pick her leg up, pain was obvious, but she never whined, cried, or yelped. My local vet said she’s way too big for the only procedure she could do, which was sewing a fishing type band around the damaged ligament. She suggested the TPLO surgery and referred me to another vet. TPLO surgery was going to be $5000 and down time of 6 months, cutting the bone to level out the injury and inserting a steel plate to act a the ligament/joint. I scheduled surgery and decided to research other options. I found the TTA surgery and called a vet that could do that surgery. TTA surgery was $1800 and 3 month recovery time! Cutting the bone at an angel and inserting a titanium plate to act as ligament/joint. When I understood the TTA surgery was less invasive and quicker recovery time for my baby, I scheduled an appointment immediately and cancelled her appointment for the TPLO surgery. Of course the cost was a huge incentive for choosing the TTA surgery because both vets and all my research said 50% of all dogs that have one complication will have another in 6 months. The vet that preformed her TTA surgery told me her. left knee was a mess! It. was shattered! Only allowed trips to the bathroom on a leash for first month. Don’t be alarmed if you choose TTA surgery and leg swells and you see. signs of bruising, it is normal. First two days were the hardest and by third day everything seemed easier. Swelling went down and gone. by day six. Had her stitches removed and started swimming in the pool. I kept her on a leash when outside just because she still. had. slight limp at 3 months. At 4 months I could tell the biggest difference, her slight limp was gone and I took her off leash with confidence. My dad babysat her while I was on vacation and she went up and down steps to go to the bathroom for 8 days. When I got home first thing I noticed was a slight limp and she was favoring her right leg. My dad said it had been going on for 3 days. Even though it was a very little limp I knew it was not going to get better and I scheduled her 2nd TTA surgery, thinking a little tear should be better for her recovery than completely shattered! Boy was I right, 2nd time around, she’s 19 months old and 116 lbs. and although it’s only been 3 days, it’s been amazing! Completely opposite from first surgery! She walked out of clinic. First time, she had towel around her belly for assistance with walking. She was awake and walked in our house and to the bathroom with ease. She put weight on her leg! Her leg hasn’t swelled at all! I’m sure knowledge of her previous surgery helped with the ease of her 2nd surgery but I credit getting the surgery at the first sign of complication to be huge! Looking back, her slight limp was sign of tear but in a couple days it would seem she was better and here we would go again, another walk and limp was back. Her ligament was torn but I didn’t know to do anything until she blew it out, at that point she completely shattered her meniscal ligament and I could hear clicking sound. Second time around, I wasn’t going to let her go through that! I suspect 2nd surgery to be even smoother with no limp after first month. Overall, TTA surgery has been awesome for my Rotti! Check out my Shelby the Rottweiler videos on YouTube and see for yourself. Hello. I’m hoping you are still responding to questions. It looks as though we will be going through a second TPLO surgery with our border collie. He had his first last summer, came through it well and everything was going great. We noticed some limping on his “good leg” recently, took him to the vet yesterday for a check up and they advised that the joint was actually stable and that the intermittent limping was more likely due to arthritis, but that (as we knew), it’s not uncommon for the second leg to fail eventually and this could be the start of the warning signs. We were relieved that he didn’t need surgery.. Unfortunately, today, our dog slipped on some ice, completely wiped out and yes, it looks as though he’s ruptured his CCL. We’re so upset for him and in disbelief that it happened within 24 hours of getting an all clear. Anyway, my question. After the second CCL surgery on the other leg, have you had any subsequent issues? Our border is only 8. We’re hoping that after having these two surgeries (possibly) within a year, that this will hopefully hold him for the rest of his life. We know that arthritis is likely, but have you had any additional CCL issues with your dog since the repairs? Hi Melanie, I am sorry your dog has to go through it. No, my dog has not had any issues since the surgeries with his legs at all. I give him Cosequin Advanced Strength daily and that helps, too. 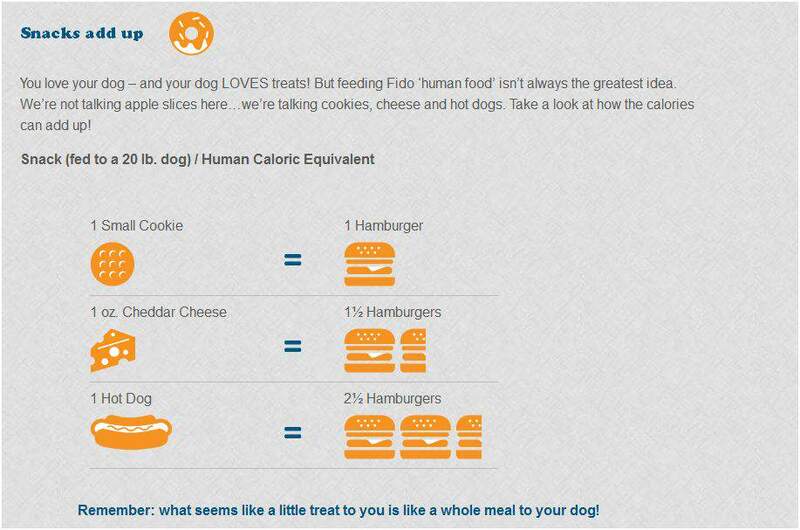 I hope this is helpful Keep us posted on your Border Collie. I am sorry you are going through it again.